For their seventh year in reservist training, a group of army mates in an armoured infantry unit return for a war game exercise. In the periods of waiting, their thoughts drift to their relationships, jobs, newborn babies and aging parents as the demands of the outside world intrude in. They begin to wrestle with what it means to step up and ‘adult’. 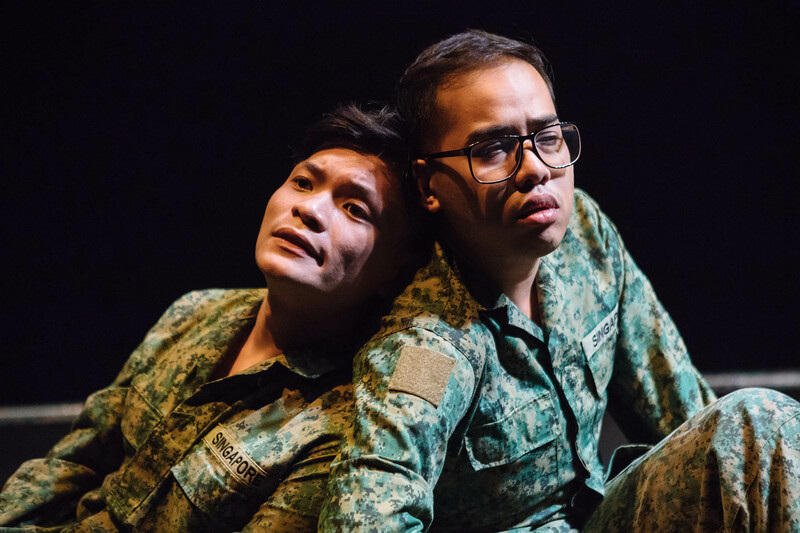 Poignant and insightful, FRAGO bears witness to the struggles of Singaporean men on the cusp of turning 30 and the complex pleasures of brotherhood, triumph and disappointment on the battlefield. 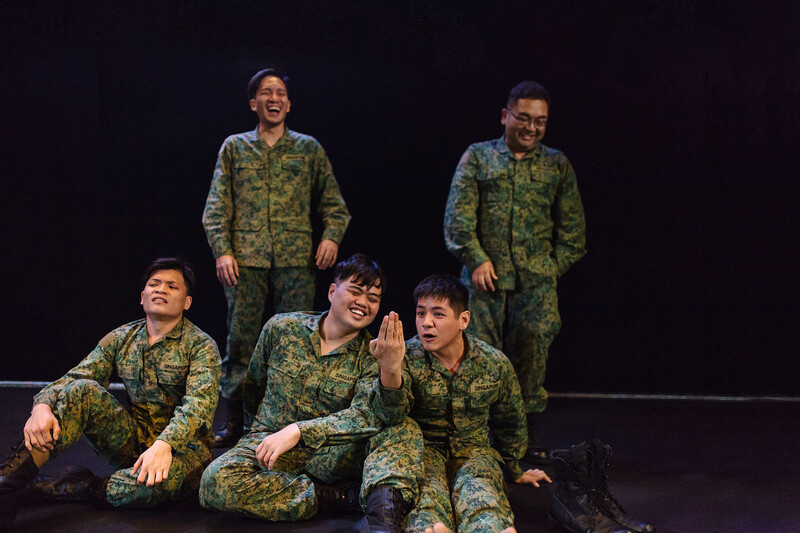 FRAGO stars an ensemble of 11 actors who paint the vivid world of the army at its most honest, leaving us with a rare glimpse into the unspoken pressures, fears and desires of Singaporean men, year in, year out when duty calls. 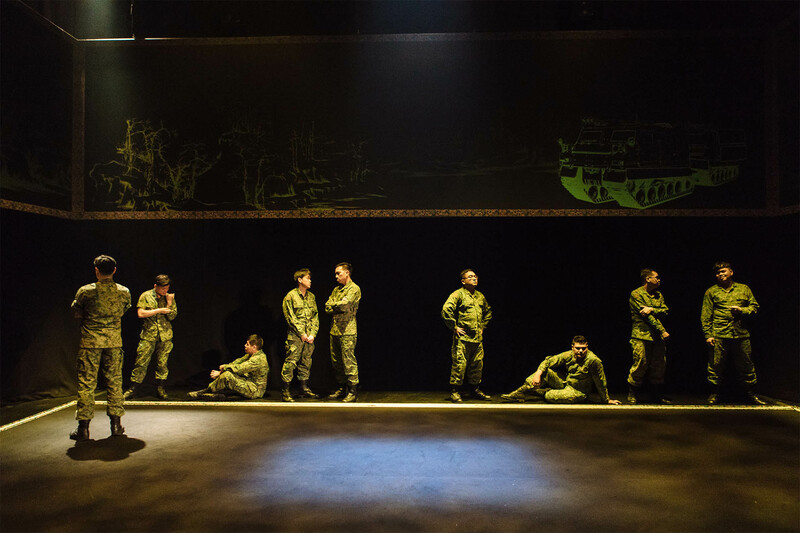 Contrary to popular depictions of the army, FRAGO offers a wistful and candid snapshot of reservist life that will strike a chord with anyone who has been through this process or ever experienced a sense of dislocation upon returning to a place that has remained the same while they have evolved as a person. 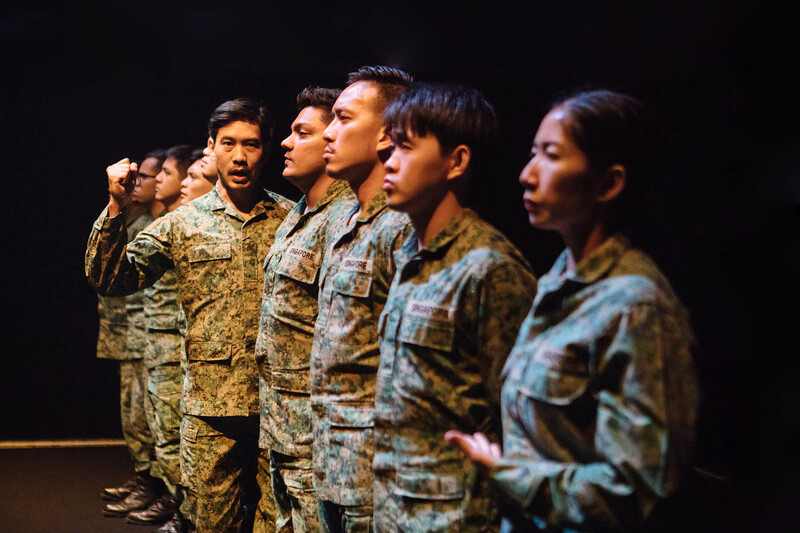 [FRAGO] is a rare play that dares to dive deep into the condition of the Singaporean male… Ho has cleverly identified in-camp training as a kind of liminal space distant enough from the real world to serve as fertile ground for reflection during the brief respites. 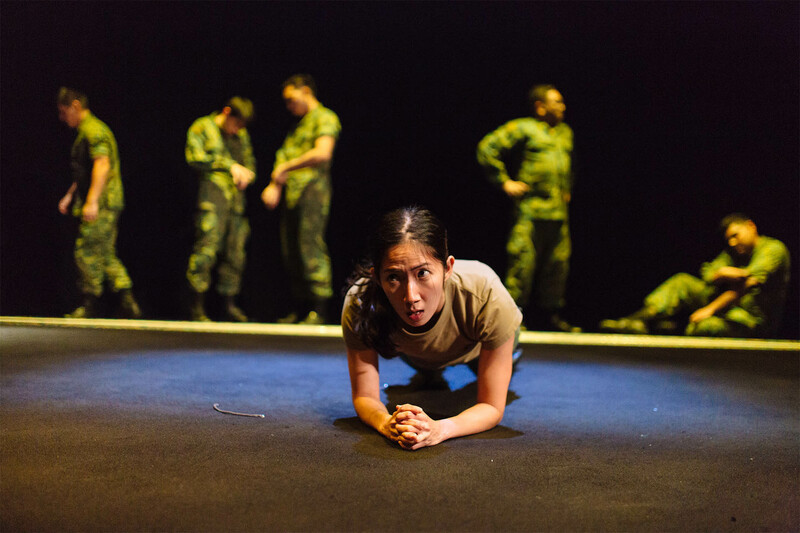 Huzir has cast a powerful ensemble cast of mostly young and fresh actors who brought Ho's text and dialogue to life... [Jo Tan's] performance as a seasoned but tired Female Warrant Officer... is incredibly restrained and nuanced. FRAGO is plain, honest, gently humorous and... possibly the most realistic portrait of the NS experience to ever take to the stage.